"I added this feature to allow photographers to take photos inside museums and galleries using the Quik Pod as a monopod, to shoot under low light conditions, without a flash. This was to preserve the integrity of the art, in locations such as the Sistine Chapel, to save frescoes from fading," says Wayne Fromm. NEW YORK, N.Y., March 10, 2015 (SEND2PRESS NEWSWIRE) — The inventor and patent holder of the selfie stick agrees with museum and art gallery bans with one caveat. Wayne Fromm, the creator of the selfie stick, is an avid photographer and admirer of paintings, sculpture and all artifacts. One of the aspects to his invention is that the Quik Pod®, the original selfie stick, converts from handheld selfie stick into a ground supported monopod. “I added this feature to allow photographers to take photos inside museums and galleries using the Quik Pod as a monopod, to shoot under low light conditions, without a flash. This was to preserve the integrity of the art, in locations such as the Sistine Chapel, to save frescoes from fading,” says Fromm. “I suggest the ban be eliminated for photographers who can prove their selfie stick can convert to a monopod,” adds Fromm. More than four years ago Fromm and his daughter Sage traveled to the Louvre where they enjoyed the freedom to photograph using the Quik Pod Selfie Stick. “With respect for art treasures and other visitors I see no reason why selfie sticks that convert to monopods should be banned. They should remain safely on the ground in the museum,” says Fromm. Fromm is a proud supporter of Starlight Children’s Foundation and participates in speaking to entrepreneurs at colleges and universities worldwide. He extends an offer to all television hosts to have him show them how to take the best selfie possible. The original Quik Pod Selfie Stick was awarded US patent #7,684,694. For more information on the original selfie stick, visit: http://www.QuikPod.com/ or follow them on Twitter at: https://twitter.com/quikpod. Available at: B&H, Henrys Photo, Best Buy, Target and Bed, Bath & Beyond. 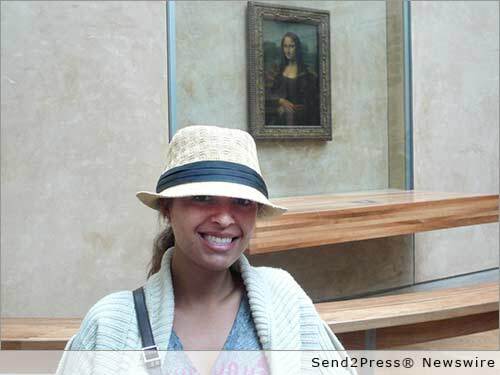 *Photo for media: Send2Press.com/wire/images/15-0310-sage-louvre-300dpi.jpg . Original Keywords: Quik Pod, monopod, selfie sticks banned, selfies, travel photos, photography, self portraits Fromm Works, Inc. New York City New York NEW YORK, N.Y.
REFERENCES: Communication Arts News, Quik Pod, monopod, selfie sticks banned, selfies, travel photos, photography, self portraits Fromm Works, Inc. New York City New York NEW YORK, N.Y.